Zee Monodee: Tidbit Tuesday: I've Made A Sale!! Tidbit Tuesday: I've Made A Sale!! 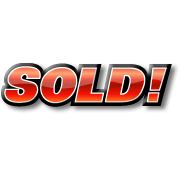 I just sold a story to Noble Romance Publishing! Now, not only that, but I've been asked to join a new program over at the pub house called Hot New Talent. It's like an out and out full promo blitz and steamroll all rolled into one, which is offered to new authors and their first book. The minute Ms. Jill Noble asked me if I wanted in, I jumped on the offer! So here's a little tidbit about the book. I'll share more asap as it comes (dying to get a cover now, lol!). Left amnesic after an accident, Amelia Jamison’s instincts slowly rise from the depths of oblivion to question her life as the wife of a cold, manipulating and distant man. Wisps of a dream show her another man she may have known intimately, but is he a memory, or a figment of her imagination? After many aliases, today Gerard Besson is simply a police commissaire in Marseille. When a mysterious woman starts to follow him, he is suspicious. But things aren't what they seem, and as he reluctantly gets closer to her, dredges of his painful, buried past spring to light and make him question her identity.